Just east of Downtown, Uptown is home to a unique mix of restaurants, theaters and bars. 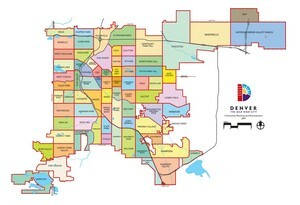 The neighborhood encompasses the areas south of 20th Street to Colfax and from Broadway east to Downing. The Colfax stretch of Uptown is home to two of Denver's finest music theaters, the Fillmore and the Ogden, both house touring national and local acts on their respective stages. 17th Avenue is the main drag of the neighborhood home to popular restaurants, like Stueben's, the Avenue Grill, Uptown Tavern and Hamburger Mary's. Uptown is an eccentric neighborhood with housing starting in the mid-100's and up to about the 700K price range, filled with luxury condos, bungalows and Queen Anne style homes along with a multitude of apartments all within a convenient shot to Downtown.